Ginseng is commonly known as Ashwagandha, Manroot, or Root of Life and has been valued since ancient times. It is known as a universal tonic, stimulant, and rejuvenator of life. Ginseng is known to increase stamina and strengthen the body. It is a proven fact that it increases vitality even in older people as it fights fatigue and increases endurance. Ginseng contains steroids that are similar to the steroids produced by the body. This property of ginseng makes it highly appealing to athletes too. Ginseng boosts the immune system and helps prevent diseases. It is also known to calm nerves and reduce stress. Studies prove that ginseng can balance the metabolism biologically. It contains components like ‘saponin' which is claimed to control blood sugar, cholesterol, and blood pressure. Many clinical studies have also proved that ginseng can cure infertility problems in men and women. You must be excited by now to know if you can start having it to boost your overall health. If you desire to start using ginseng, make sure you buy genuine ginseng products or ginseng roots of good quality. 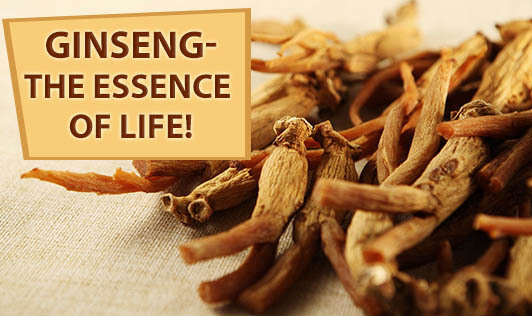 The ideal way to consume it is to take 2g of dry ginseng and simmer it for thirty minutes. Add this concentrate to your daily herbal tea. Experts recommend that it can be consumed twice a day. It can be chewed as well. Remember, if you are on any medication or any kind of treatment, do not start the dosage without consulting with a herbal specialist as it may interfere with other medicines and cause reactions.